Arx Pax, a California-based startup that made headlines last year when the Hendo Hoverboard was released with Arx Pax’s proprietary Magnetic Field Architecture (MFA) technology, is popping up on front pages again by recently entering into a Space Act Agreement with NASA. The collaboration aims to finds ways to manipulate tiny satellites, called CubeSats, without touching them at all. NASA has already launched CubeSats into space to observe the Earth and someday wants to deploy these CubeSats, some the size of a cereal box, into deep space. Magnetic Field Architecture works alongside magnets and engines by generating a primary magnetic field, which induces electrical currents on a conductive surface. The currents, also known as "eddies," create a secondary magnetic field which repels the primary field. The hover engine causes repulsion and attraction, which make these opposing magnetic fields provide lift in the surface material. Objects that have MFA technology in them are capable of moving in any direction, braking, rotating 360 degrees and propulsion all without ever hitting the ground. MFA allows all this without any human input or secondary robotic help needed. The CubeSat program started in 1999 as a collaboration between California Polytechnic State University and Stanford University. The goal was to design a standard for pico-satellites, tiny Earth-orbiting boxes with a volume of 1 liter and a mass of 3 pounds. MFA will be used in the collaboration between Arx Pax and NASA by using MFA to create micro-satellite capture devices that will allow the manipulation of the CubeSats from a distance; it will essentially create a magnetic tether in between the CubeSats. Arx Pax plans to co-develop a prototype hover engine with NASA over the next couple of years and it will most like be very small, as CubeSats can be as little as 10 centimeters squared. However, in space, a small push from a tiny hover engine will have a bigger effect over time on objects. 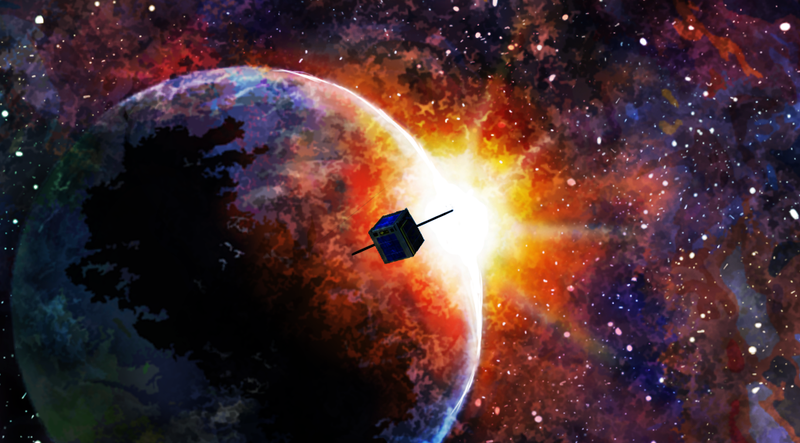 INSPIRE, which aims to send CubeSats into deep space, is figuring out if they will work that far away from Earth and prove that the CubeSats can provide roles in deep-space human missions such as advance reconnoitering of exploration sites. The Lunar Flashlight is also in the works, which will map the Moon’s south pole for volatiles (ice deposits, cold traps, etc.). This mission will try to answer the question “Is there water on the moon?” The Lunar Flashlight will remain in lunar orbit, reflecting sunlight off its shiny solar sail to illuminate shadowed bottoms of deep lunar craters for easier examination by the CubeSats. NEA Scout, who's mission is to perform reconnaissance of an asteroid using a CubeSat and a solar sail for propulsion. The NEA Scout will fly by and observe a small asteroid, taking pictures and observing the asteroids position in space, shape, rotational properties and more. MARCO, where two CubeSats will travel to Mars to deploy two radio antennas and two solar panels. This will help future missions to Mars by proving that a “bring your own” communications relay is a viable option. This will be the first time CubeSats will fly into deep space. It's crazy to think that something so small can be a huge aid to figuring out more information about something so big, like the moon, other planets and even more about Earth, but with this cutting-edge technology we should all be keeping up with this collaboration.